Crapes were the easiest and the fastest way for our grandmothers to gather children home, back then when interesting world was outside of the house. Adults too! 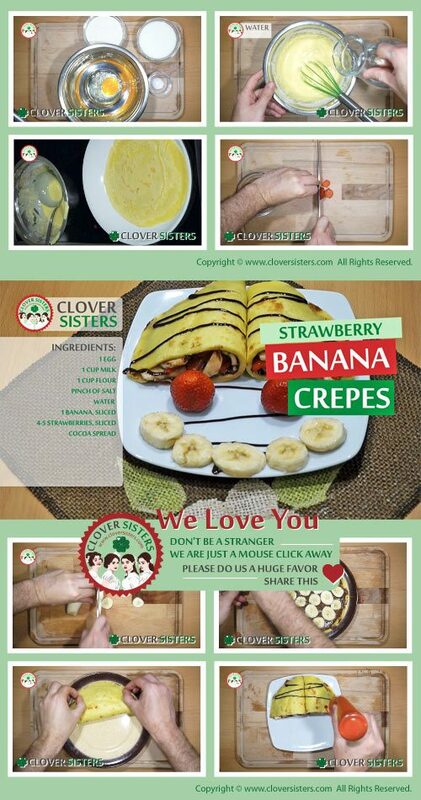 Strawberry and banana filled crepes for breakfast, the best way to enjoy early summer morning. Egg, milk, salt and flour whisk to combine and then add water to mixture to become liquid, but not too liquid. Spread thin layer of the mixture on preheated pan, lightly oiled. After short time, turn crape over to have both sides evenly cooked. Place into plate and add preferred amount of cocoa spread, strawberries and banana pieces. 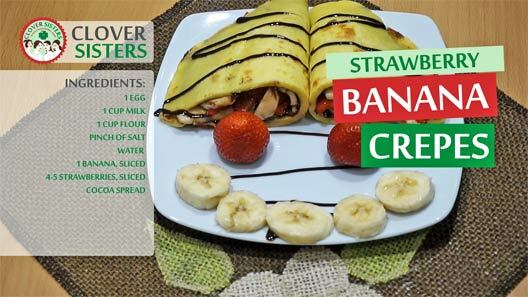 Crapes can be rolled but when filling is this fruity, better fold it.